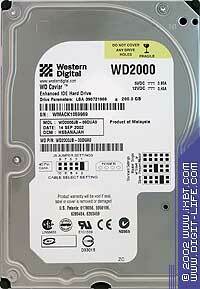 The next part of the review deals with the Western Digital hard drives. 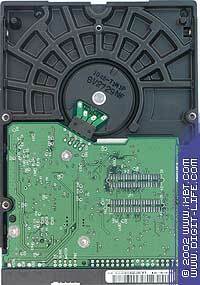 The appearance of the drives is absolutely the same. The two models can be told one from the other only according to the marking because the only difference is in the cache memory chips. These monsters are compared to the 120GB models in the separate review, and here we will have a look at the WD2000BB (with an actual 2MB buffer) in comparison with the previously examined models - Seagate Barracuda ATA V - ST3120023A, Maxtor DiamondMax Plus8 (6E030L0) and DiamondMax Plus9 (6Y060L0). The test suite is the same. The results are outstanding. As I mentioned before, the record density isn't directly connected with the linear read speed. That is why the drive with the record density of 66. (6) GB per platter becomes a confident leader. The graph has small teeth but, anyway, it doesn't tell upon the read speed. 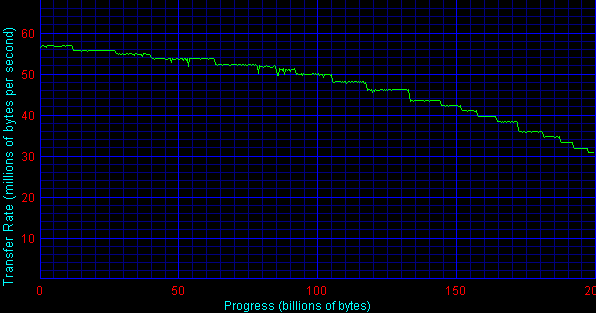 It's quite logical that the Western Digital's drive keeps ahead in the average read/write speeds. However, the access time is a bit too high. 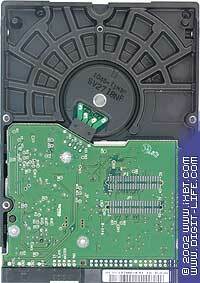 In the Disk WinMarks the WD2000BB yields only to the Maxtor DiamondMax Plus9. Obvious leadership. No more comments. Here such scores of the WD2000BB are evidently on account of the buffer size. The WD2000BB shines here. It's interesting that even its access time didn't prevent it from taking the first position in the Random Read Pattern. Well, now we have a new leader. The greater size goes along with the excellent performance. 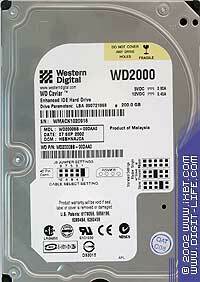 Taking into account that Western Digital declares the quality priority, the 200GB drives from WD can be considered a perfect choice.